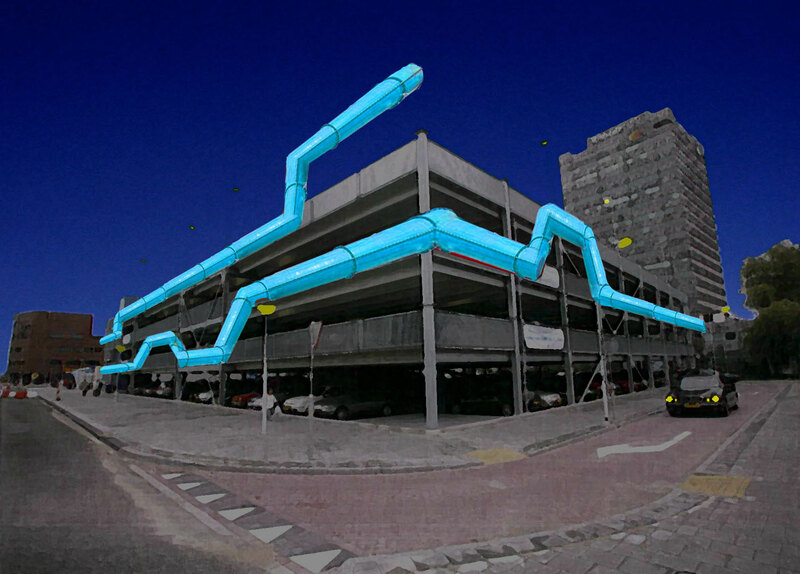 Waterparking transforms a traditional parking garage into an eye catcher. 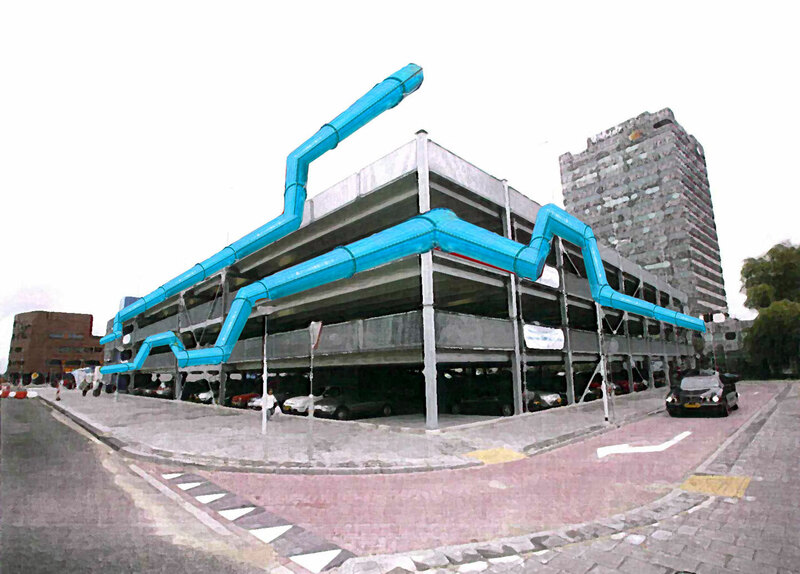 The design of waterparking is made to enhance the esthetics of the current situation, it follows the existing lines of the garage by moving in the same shape, this way the two elements become one. The line on the garage is luminous, the light in the design moves simultaneously with the cars going in and out of the garage. When a car moves out of the garage, the light will follow in a spiral movement. Everyone that’s able to see the garage from outside will see what is happening inside. The collaboration between the physical movement of the cars and the light that moves according to that, brings the interior and the exterior of the garage together. The interaction between the inside of the garage and the outside of the garage creates the feeling of a building that is alive . The shape of Waterparking is designed so it can be extended easily, that is because the design is modular. So when the garage adds a few floors, the artpiece can easily react upon this change.